With its open source technology and support of Google, Android is set to be the dominant mobile operating system for years to come. With the US$12 billion plus Motorola takeover, Google did not just secure 16,000 patents for disputes about hardware and software innovations; it also showed how important Android is for its business model. In the future, Android will be more than just an operating system for a smartphone. The integration of a wallet app for mobile payments via NFC is just as likely as Android becoming a regular household feature. Google TV is a Smart TV platform from Google co-developed by Intel, Sony and Logitech. Google TV integrates Google’s Android operating system and the Linux version of Google Chrome browser to create an interactive television overlay on top of existing Internet television and WebTV sites to add a 10-foot user interface. A small box sits between the existing cable (or satellite) receiver and the TV, bringing the goodness of Google TV to TV set. You can also use the remote to control the cable box, TV, and stereo. What makes it more impressive is that it can be controlled with phone as well. The web and app goodness of Google TV is built right into the TV set, so it just needs to be plugged in the existing cable (or satellite) receiver as usual. Android operating system provides the underlying foundation, allowing developers to create applications that extend the system’s functionality. Google’s Chrome browser provides a gateway to the Internet, allowing consumers to browse web sites and watch television, in tandem. Consumers can access HBO, CNBC, and content from other providers through the Chrome browser. Android and Apple smartphones may be used as remote controls for Google TV. Google TV products ship with wireless remote controls with a full QWERTY keypad. The Smart Home could soon include the lime-green color of Android. The Android @ Home framework that can make appliances as smart as a phone, can transform a tablet into an universal remote for home. It also introduced some consumer electronics designed to be Android compatible. It would turn out the LED light bulbs used in the video game demo which were developed in partnership with Lighting Science so that Android devices can “speak” to it. Google also showed off how Google Music works with Android @ Home and its other foray into the consumer electronics business: stereos because its users’ music will be stored in the cloud, the tunes can be played by any device that is connected to the online service, like the Google Tungsten. Google also intends for all services to be able to be used at the same time across all devices and the possibilities for smartphones and tablets do not end there; Android applications may feature in cars. longer be saved locally. It will be saved and processed directly in the cloud. Android is a Linux-based operating system designed primarily for mobile devices such as smartphones and tablet computers. This technology, which is owned by Google, Inc., includes an operating system, software, and applications. Android is a comprehensive software stack of mobile devices that includes an operating system, middleware and key application. This rich source of software bunch is used in Mobile Technology through its innovation module of The Android Software Development Kit (SDK). The operating system is based on Linux, which provides advanced computer processing. Android technology is maintained and continually developed by the Android Open Source Project (AOSP). Google released the Android code as open source, under the Apache License. The Android Open Source Project (AOSP), led by Google, is tasked with the maintenance and further development of Android. Additionally, Android has a large community of developers writing applications that extend the functionality of devices, written primarily in a customized version of Java. They are available for download through Google Play or third-party sites. Android technology is based on Java software applications. This technology requires the use of a special software development kit (SDK) to create applications for an Android device. The SDK is freely available for download from the Internet. For this reason, and because it will work on multiple operating systems, many software developers prefer Android technology over that used in other smart phones. Although Android technology is increasingly being used on a range of devices, the most common hardware to use this platform is mobile phone. Smart phones have evolved into devices that use touch screens for navigation. 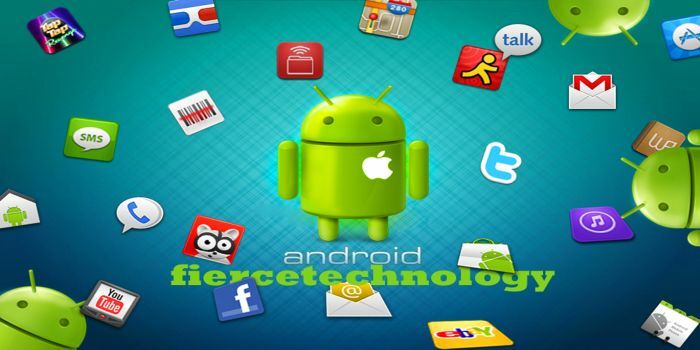 Android technology provides specific application programming interface modules to developers that take advantage of this. The touch screen enables the user to select and scroll through information with the stroke of a finger. A large community of developers regularly write applications, including games, social networking, and business modules, for Android smart phones. Android technology which is used by thousands of developers because it is freely available has given software developers the opportunity to sell their creations to a wide group of consumers. One of the key differences between Android technology and other smart phone systems is that it is open for modification. This gives vendors the opportunity to change and enhance their products based on their own preferences. This has created many versions of Android™ phones, which can vary by vendor, as well as a range of other devices that use this platform. Android initially came into existence with the approach that developers are given the power and freedom to create mobile applications while taking advantage of everything that the mobile handset has to offer. Applications are usually developed in the Java language using the Android Software Development Kit, but other development tools are also available, including a Native Development Kit for applications or extensions in C or C++, Google App Inventor, a visual environment for novice programmers and various cross platform mobile web applications frameworks. Android is built on open Linux Kernel. This particular software for mobile application is made to be open source, thereby giving the opportunity to the developers to introduce and incorporate any technological advancement. Build on custom virtual machine android gives its users the addition usage and application power, to initiate an interactive and efficient application and operational software for the phone. Applications can be acquired by end-users either through an app store such as Google Play or the Amazon Appstore, or by downloading and installing the application’s APK file from a third-party site. The Play Store application allows users to browse, download and update apps published by Google and third-party developers, hosted on Google Play, and is pre-installed on devices that comply with Google’s compatibility requirements. The app filters the list of available applications to those that are compatible with the user’s device, and developers may restrict their applications to particular carriers or countries for business reasons. Android is open platform, so many carriers can potentially offer Android-powered phones. Android is currently the fastest growing phone platform in the world. Android has an active community of developers and enthusiasts who use the Android source code to develop and distribute their own modified versions of the operating system. Android Operating System allows third party developers to innovate and create Applications and software for mobile devices. Android is an open, flexible and stable enough to associate itself with newer and newer evolving Technologies. Android’s vast range of easy to use tools and wide range of libraries provides Mobile Application developers with the means of an amazing mobile operating software to come up with the most efficient and rich Mobile Applications changing the world of millions of mobile users. Because Google developed Android, it comes with a lot of Google services installed right out of the box. Gmail, Google Calendar, Google Maps, and Google Web search are all pre-installed, and Google is also the default Web page for the Web browser. However, because Android can be modified, carriers can choose to change this. Multitasking was improved with the release of Android 4.0 “Ice Cream Sandwich”. When users hold down a device’s home button or press the multitasking button on available devices, a task manager with a list of recently-opened apps appear, which users may select to resume use of the application in the status it was last accessed at. Google’s mobile operating device, the android is its awesome creation. It is definitive for Software Applications for the mobile phone arena, initiating a whole new world of Mobile Technology experience for its customers. Andriod mobile application development is one of the services provided by Ranosys Technologies. Innovative, user friendly and effective Android applications have been developed by the development team at Ranosys Technologies using the Andriod platform. Viewing Andriod as holding much more future potential Ranosys Technologies would be constantly working to explore applications that would be helpful and of at most use to the users in all the domains of their life.